How good is your knowledge of women’s rugby? Before the second round of the Women’s 6 Nations we offer a small women’s rugby quiz – unfortunately the only prize on offer is our admiration at your in depth knowledge and the ability to retain the information! 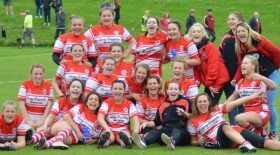 In the 2018-19 Tyrrells Premier 15s season, what is the highest scoring draw, and between which sides? What connects Caity Mattinson (Bristol), Vicky Fleetwood (Saracens) and Catherine Spencer (former England captain)? Which two teams were involved in the only 0-0 draw thus far in the Tyrrells Premier 15s? Who refereed the first final of the Tyrrells Premier 15s? Which club boasts the second-largest rugby stadium in England? What links Cleve with Shaftesbury? What links Rachael Burford, Shaunagh Brown, Teya Ashworth and Fiona Pocock (all Harlequins) and Amelia Harper (Loughborough)? Which 4 players started all three Quilters Autumn 2018 international matches for England? Name 2 England debutants of 2018 who were not part of the Red Roses squad for the Quilter test matches in November. How many non-English international 100-cappers are there? Who are they? Which Tyrrells Premier 15s club boasts two front-line left-footed place-kickers? Which club sent its near neighbours to Coventry? Who is the only player to have been selected to the Dream Team after the World Cups of both 2014 and 2017? How many times does Ellie Green (Harlequins) bend at the waist before taking a place kick? Who scored England’s last try in the 2017 World Cup?